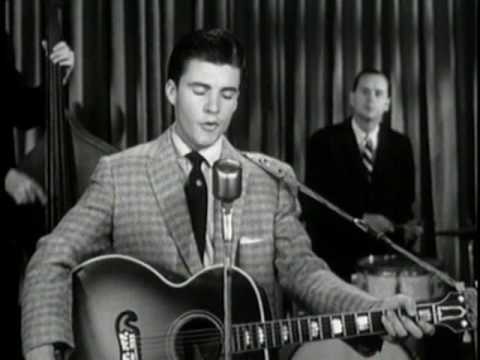 Don’t hold your breath waiting for a Ricky Nelson revival. He ain’t Buddy Holly. He certainly ain’t Elvis Presley. Heck, he ain’t even Pat Boone (albeit arguably). He was a mediocre musician who had 53 Top 100 hits between 1957 and 1973, 20 of them in the Top 20; an inductee of the Rock and Roll Hall of Fame; and one of TV Guide’s 50 Greatest TV Stars of All Time. 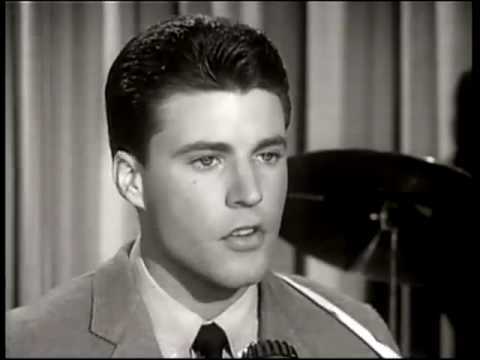 Ricky Nelson is one of the most important singers in the annals of popular culture. More importantly, he’s a crucial element in understanding post WWII American (i.e. world) popular culture. I’ll take that a step further. You can’t understand popular culture without understanding the Ricky Nelson story. 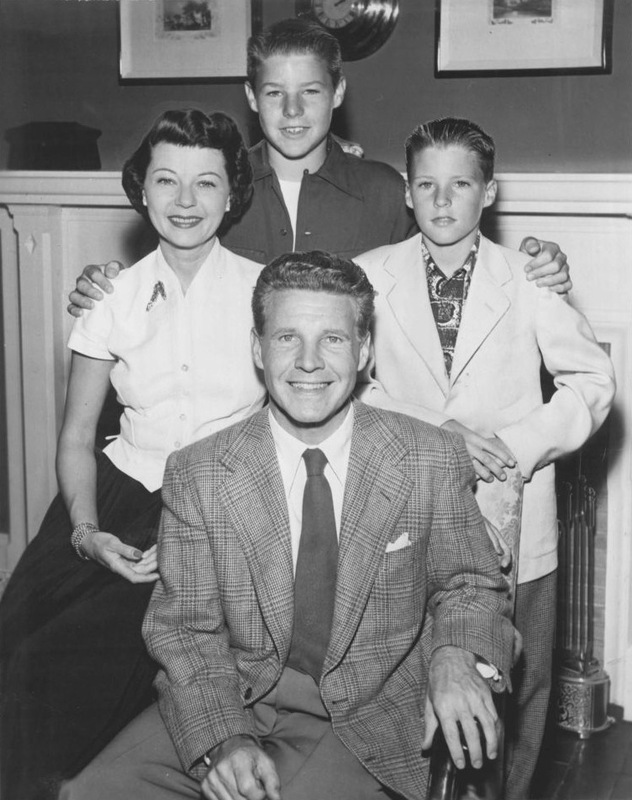 Ricky was born in 1940, second son of big-band leader Ozzie and singer Harriet Nelson. Ozzie’s orchestra was featured on the hit radio show “The Raleigh Cigarette Hour” from 1941 till host Red Skelton was drafted in 1944. The producers then crafted the sitcom “The Adventures of Ozzie and Harriet” (we’re still talking radio, folks) in its stead. It was a hit, with head writer Ozzie spinning tales of Rockwellian domestic bliss. 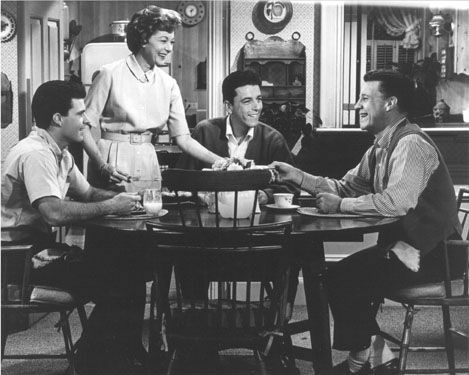 In 1949, Rick and brother Dave (two years older) joined the show, replacing the actors who had portrayed them till then. 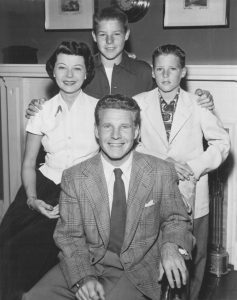 In 1952, “The Adventures of Ozzie and Harriet” debuted, running until 1966, one of the longest-running sitcoms in TV history. Many of the series’ story lines were taken from the Nelsons’ real life. When the real David and Rick got married, their partners were written into the series as their girlfriends and then wives. 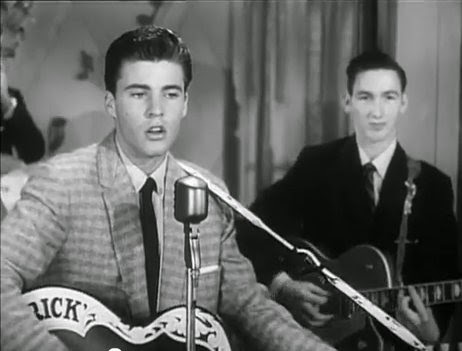 Already a fan of Carl Perkins and Elvis, Rick went into the studio and covered Fats Domino’s ‘I’m Walking’ (it contained the only two chords he knew how to play). He was following the pattern set by the likes of Pat Boone, who carved a great career by bleaching raunchy, authentic Black music for the lily-white audiences of mainstream radio. The original versions were thought to be too sexually suggestive for the impressionable white audiences, and were confined to de facto segregated R&B radio stations and sales charts. Here’s Fats’ original ‘Ain’t That a Shame’, and Pat Boone’s version (both 1955). Here’s Fats live in 1956. Here’s Fats’ original ‘I’m Walkin’’ and Ricky Nelson’s very first recording (both 1957). Just for fun (hey, what’s it been up till now?? ), here are Fats and Ricky singing it together, years on. Ozzie knew a meal ticket when he saw one. In a 1957 episode titled “Ricky the Drummer”, the lad sits in on drums with a swing band (at around 06:00). He does a creditable job, though he’s no Sammy Davis, Jr. Then at 08:00, he sings ‘I’m Walkin’’ (live). Check out the girl in the audience squealing. It hit #4 on the charts. The flip side, ‘A Teenager’s Romance’, hit #2. Shortly after, he made an unpaid public appearance (singing “Blue Moon of Kentucky”) with the Four Preps at a high school lunch hour assembly in Los Angeles. He was greeted by hordes of screaming teens who had seen the television episode. Here you have it folks. The very first bud of spring. The first step of youth culture across network television’s Rubicon. 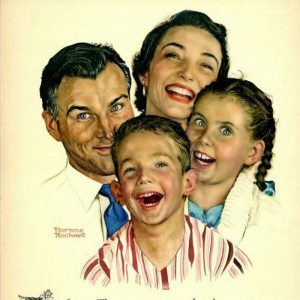 The beginning of the end of the coherent, conservative mom & dad and two kids in the suburbs America. The beginning of the beginning of the cultural revolution we’re still in the throes of. If you’ve ever heard of “The Ozzie and Harriet Show”, it’s probably as the icon of 1950s America—the world of Eisenhower, mortgages and Fords and good clean family living. Then came James Dean and Elvis Presley and Lee Harvey Oswald and the Nixon Doctrine in Vietnam. For baby boomers–Bob Dylan, Steven Spielberg, Bill Clinton–the Nelsons symbolized the Age of Innocence. Network TV was the medium for America’s self-portraiture. In 1957, it was as bland as Wonder Bread with Oleo. But every two or three weeks, at the end of an episode of “Ozzie and Harriet”, they’d let Ricky sing a song. We’d sit and wait, impatiently subjecting ourselves to what even in our tweens we perceived as the inanities of the show. As soon as his singing career began to take off, he had the good sense to jettison his older jazz and country session musicians (who were openly contemptuous of rock and roll) and sign a band with members closer to his age, including the 18-year-old James Burton. Elvis was in the army, and the market was thirsty for ‘A Teenage Idol’ (his not-so-convincing attempt at poorlittlerichboy angst). Six years later we’d get ‘Can’t Buy Me Love’. Ricky’s song contains the line ‘I guess I’ll always be just a rolling stone.’ Ah, the irony. Even though it was the only game in town and despite its commercial success, Ricky’s music was nothing to write home about. Here are a few of his hits as performed on his parents’ TV show—arguably the very first musical video clips. ‘Traveling Man’ — Check out Ozzie’s snazzy editing! This has been called ‘the first video clip’. ‘Hello Mary Lou’ — Perhaps plagiarized by the fine Gene Pitney (who also wrote Bobby Vee’s ‘Rubber Ball‘ and The Crystals’ ‘He’s a Rebel‘ and was the first American champion of The Rolling Stones). After “Hello Mary Lou” became a hit, legal action was taken by one Cayet Mangiaracina, who was then listed as a co-writer along with Pitney. Mangiaracina became a priest and claimed to give royalties from the song to the Southern Dominican Province near New Orleans, where he served. Pitney never spoke of Mangiaracina or the lawsuit. ‘Gypsy Woman’, not to be confused with the sublime ‘Gypsy Woman’ by Curtis Mayfield’s Impressions. ‘Stood Up’ — co-written by Sharon Sheeley, whose very first song, ‘Poor Little Fool‘, was Ricky’s first #1 hit. She survived the car wreck in which her boyfriend Eddie Cochran was killed. 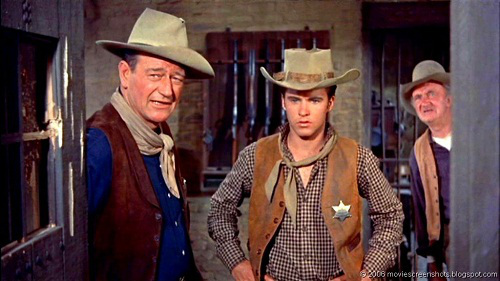 In 1959 he starred next to John Wayne, Walter Brennan and Dean Martin in Howard Hawkes’ classic “Rio Bravo”. In 1961, on his 21st birthday, he legally changed his name from ‘Ricky’ to ‘Rick’. Few were convinced. After a few minor hits, failed marriages, and a very successful run on the oldies circuit, Ricky (sorry, he’ll always be Ricky for me) died when his private plane crashed near De Kalb, Texas, on December 31, 1985. Some critics have tried to rehabilitate Ricky’s musical reputation in recent years. They’re confusing good will with good music. Give a listen to Buddy Holly, his contemporary and stylistic cousin in those years of 1957-59. The difference is as great as the distance from Hollywood to Mars. But I remember Ricky fondly. He may not have been the best, but he was the first. He single-handedly opened television to young music. Yes, Elvis had appeared on the Milton Berle and Ed Sullivan shows in 1956, but only as a curiosity (some said an aberration, the devil incarnate). Ricky was the first widely acceptable rock and roll singer, the harbinger of the Woodstock generation, the first crack in The Wall, the prototype of the world we still live in today. Thanks for being understanding parents, Harriet and Ozzie. Thanks for being such a good big brother, Dave. Thanks for doing what you did, Ricky. It was well worth that half-hour wait.